Hello! 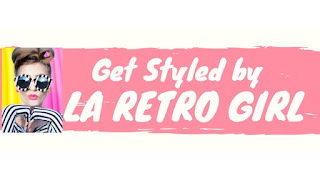 Oh how I'm loving the seventies this fall! I just added this iconic mustard yellow seventies shawl to my wardrobe and could not be any more in love. I spotted this beauty on Etsy last week and could not resist adding it to my wardrobe; I purchased it from RedMod for $22. 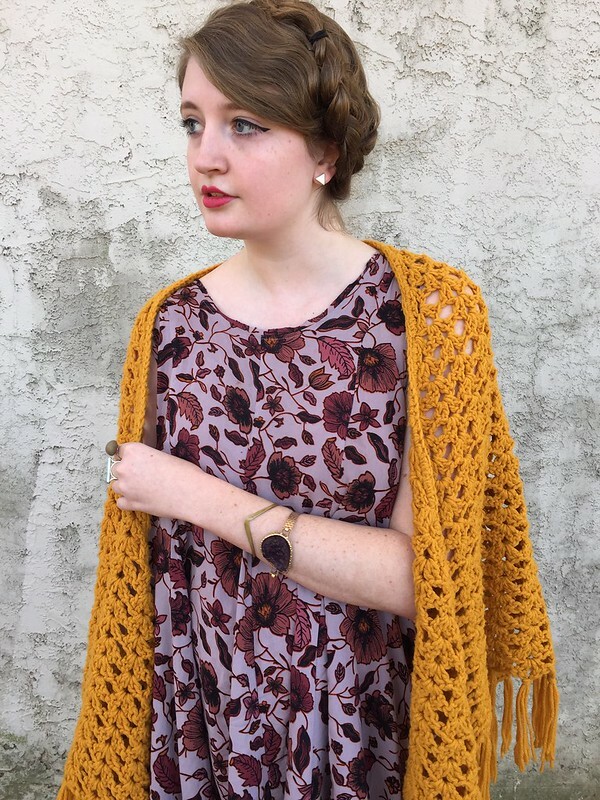 For such an incredible vintage piece, I think that this knit shawl was a steal! I'm very happy with the purchase. The shawl is in great condition, the seller was friendly and it arrived quickly. 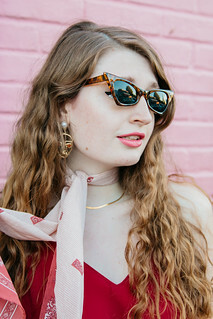 I added RetMod to my "favorites" on Etsy and have a feeling that I'll be shopping with them again. 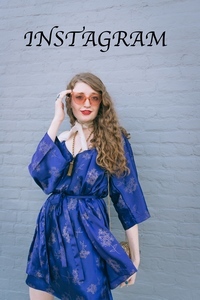 They have a jaw-dropping assortment of various vintage dresses from the sixties and the seventies and if you're looking to update your wardrobe with a throwback item, I would recommend checking out RetMod for their great selection as well as great prices. 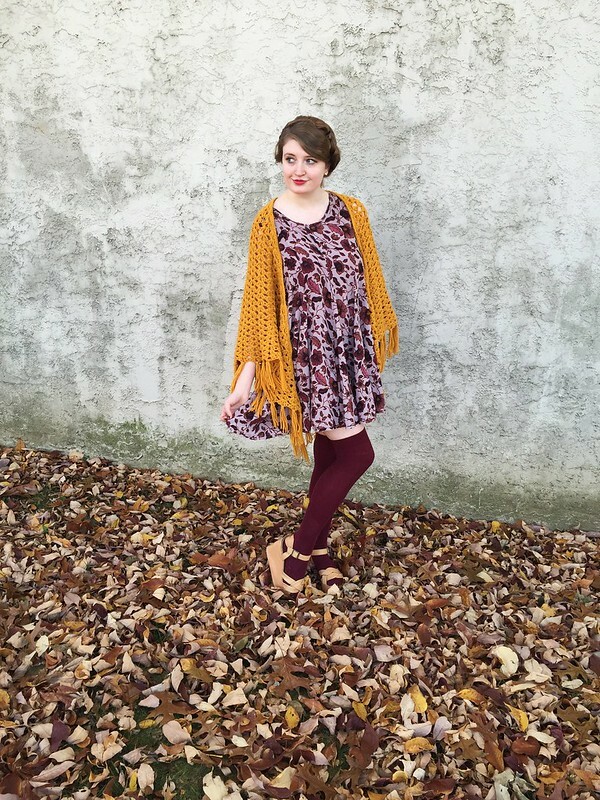 For this look, I styled the mustard yellow shawl with my favorite fall floral dress. It seems as if I wear this dress every week (and in actuality, I probably do) and I'm always looking for new ways to style it so when I received the shawl, I just knew that I needed to pair it with this dress. I played up the warm shades of maroon in the dress with a pair of burgundy thigh high socks. I amped up the seventies vibe of the look by slipping on a pair of tan flatforms with the socks. Who says you can't style socks and sandals together and still look good? I accessorized with several stone rings, a vintage bracelet, a rich purple druzy bracelet and hip triangle earrings. A pop of pink lipstick emphasized the feminine colors of the dress. I played up the seventies appeal of the look even further by throwing my hair up into a bold milkmaid braid hairstyle. Originally, I wasn't planning on trying out this hairstyle. However, when I woke up my hair was a mess and I made a promise to myself to try to stop using heat on it (more about that in an upcoming post!) I didn't want to just throw my hair into another braid so I decided to try out two side braids. Which was a nightmare. I looked like a seven-year old schoolgirl. I fixed it my just pinning the braids up and voila! Easy and seventies-perfect braided updo.